Following increasing flu hospitalizations, the Ministry of Health yesterday sent its urgent dispatch to departments of health nationwide asked to adopt preventive measures against flu. The Ministry pointed out that last months of 2017 and early 2018, development of flu in the world has been complicated ; for instance, China recorded cases of flu with A/H7N9 virus while seasonal flu outbreaks has occurred in the US and flu due to virus A/H1N1 has seen in South Korea. Hospitalizations of flu cases in many localities are on upward trend; the spring-winter weather is conducive to respiratory ailments. Accordingly, the Ministry ordered its sub-departments in cities and provinces to increase information of preventative measures against flu, early detection, and isolation in houses. People should go to medical clinics when they experience bad flu. People are advised to keep away from crowded and wear facemask when contacting ill people. Moreover, they should increase personal hygiene, cover their mouth when sneezing and have vaccination against flu. Hospitals are required to isolate patients, provide emergency and strictly control cross-infection. Medical workers must early detect cases of flu to provide treatment to serious cases and conduct tests to discover flu pathogen, closely control and prescribe medications carefully to deter drug-resistance. Departments of health in the country need to liaise with health animal department and relevant agencies to supervise flu outbreaks in poultry. These units must thoroughly handle the outbreak to curb spreading to people. Furthermore, they have to tighten control on sale and transportation of smuggled poultry through border crossings. Meantime, the north has recorded skyrocketing cases of flu mostly kids because cold waves hit the region from end of January in Hanoi. At present, the National Tropical Disease hospital admits over 100 patients including adults and kids; half of them are hospitalized. 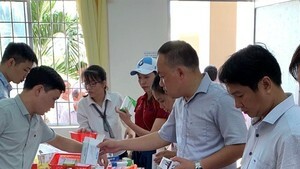 The situation is same in other hospitals namely the National Children, Bach Mai, Duc Giang, Dong Da, Saint Paul. Worse, some kids are suffering complications like pneumonia, even some of them must use ventilators. According to medical workers, seasonal flu is acute ailment with symptoms of headache, fever, fatigue, running nose and coughing. 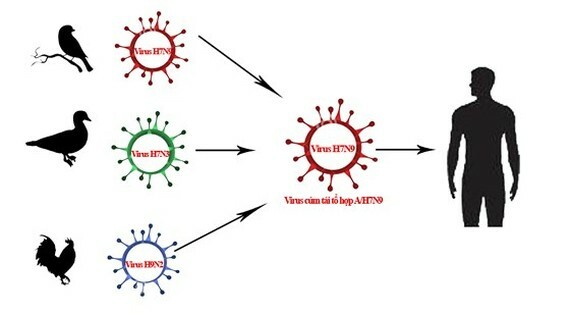 Viruses A (H3N2), A(H1N1), B and C are culprits to cause seasonal flu. When having seasonal flu, adults can recover within two to seven days. However, kids and senior people with chronic heart, lung, kidney diseases or anemia will easily suffer from severe complications even death.